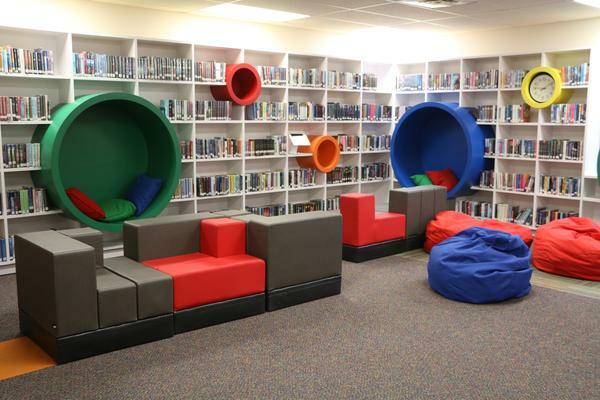 Providing a flexible space that can be transformed for multiple uses is top-of-mind for library designers this year. 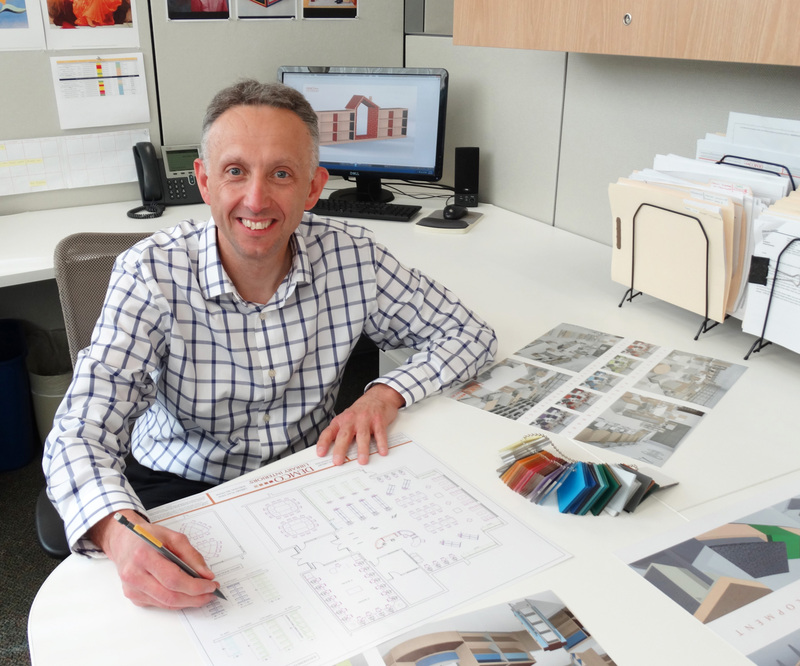 Demco interior services experts recently identified new products that caught their eye, not only for their aesthetics but also for their ability to meet 21st-century library needs. 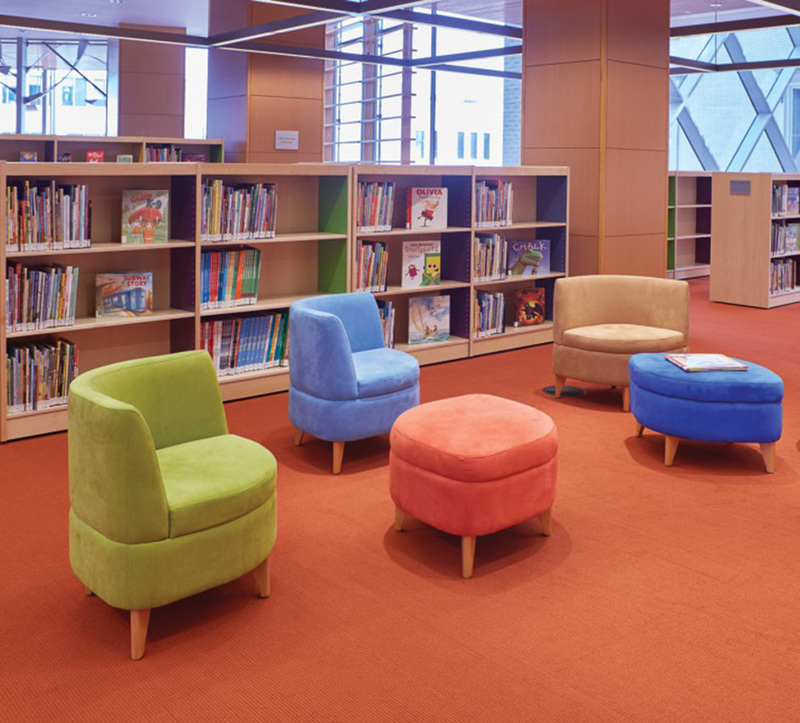 Read on to see what’s new and exciting in the world of library design, and get inspired to use these elements to create a fun, functional and flexible space. One of the products that caught our eye at NeoCon this year was the new line of Caruso Acoustics by Falcon. 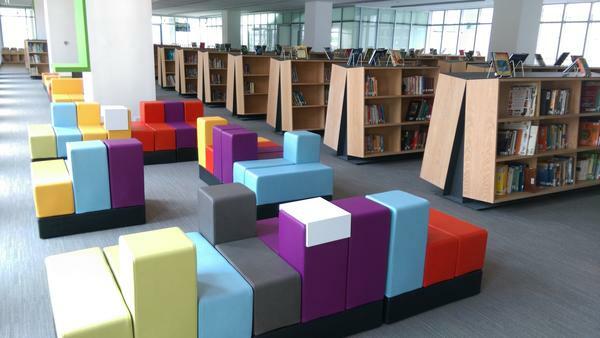 As educational interiors become important hubs for working collaboratively, managing noise levels within these spaces becomes more of a challenge. The Falcon acoustic panels offer a multi-faceted solution to this problem by combining sophisticated sound absorption technology with the aesthetic elegance of wall mounted art work. 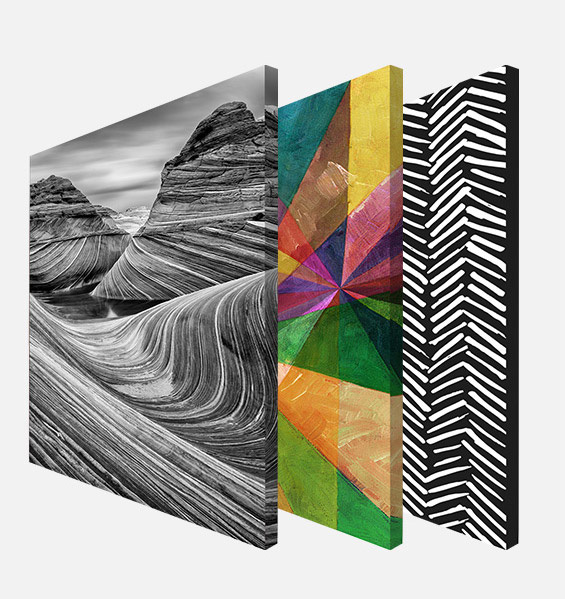 With 22 standard colors available for simpler aesthetic solutions, along with the ability to custom print any image, these panels allow users to tailor wall-mounted graphics to suit their space while effectively keeping noise at a comfortable, manageable level. 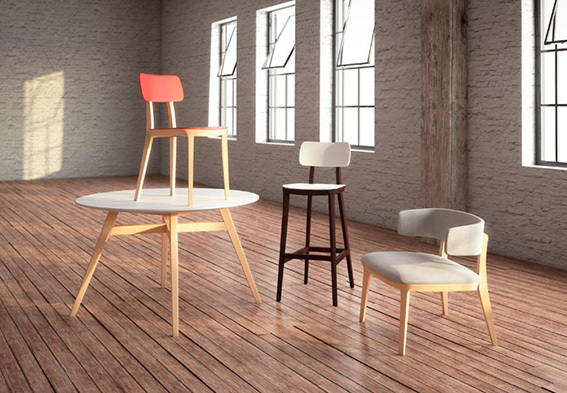 Another new product launch at NeoCon this year was the Romy and Juel product lines from Community. With so many chair and table lines offering steel as the leg material, it’s very refreshing to see new wood-based product lines being developed. The Romy and Juel lines are very elegant and contemporary and will be the perfect fit for more transitional interiors where the warmth of wood can still be an important element to maintain. 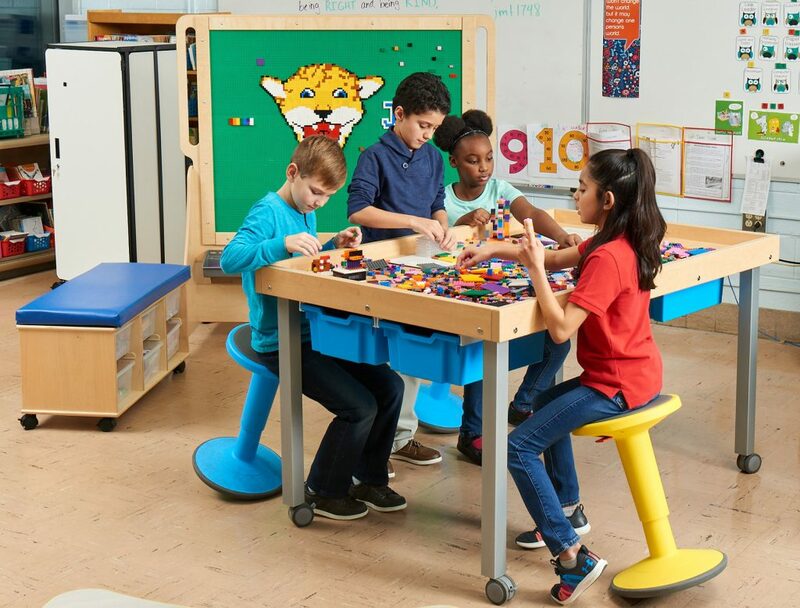 We especially like the Juel chair and stool, with the option of a colored plastic seat or back and the aesthetic possibilities that the vibrant splash of color allows. The line will be formally released in fall of 2016, and we look forward to the right opportunity to use this new product line in a Demco interior services proposal. 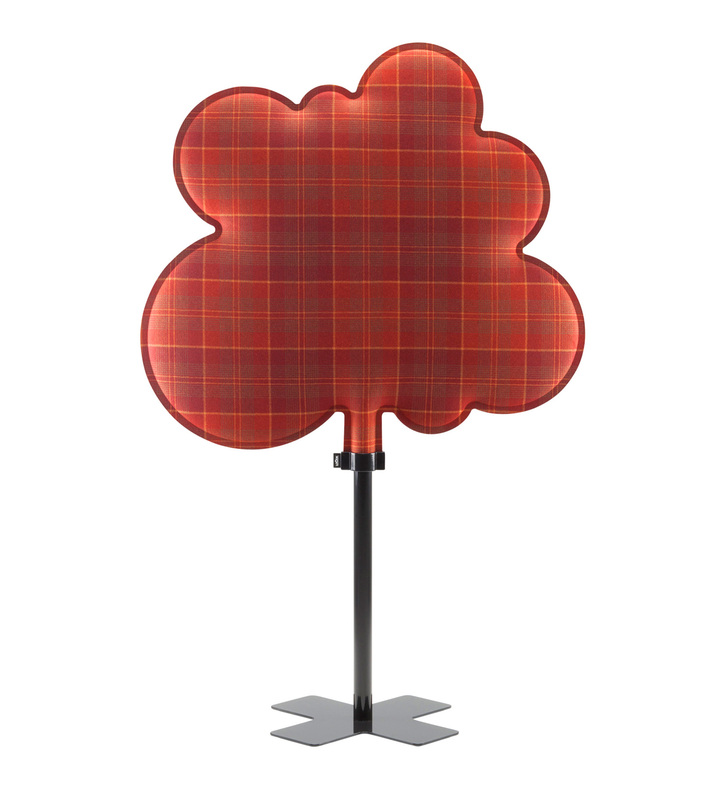 The Dotti is such a fun and valuable piece of furniture. There are so many studies these days about the need for movement in our lives. Some children need to move more to concentrate, and, let’s face it, anyone working in an office could use a little more movement. 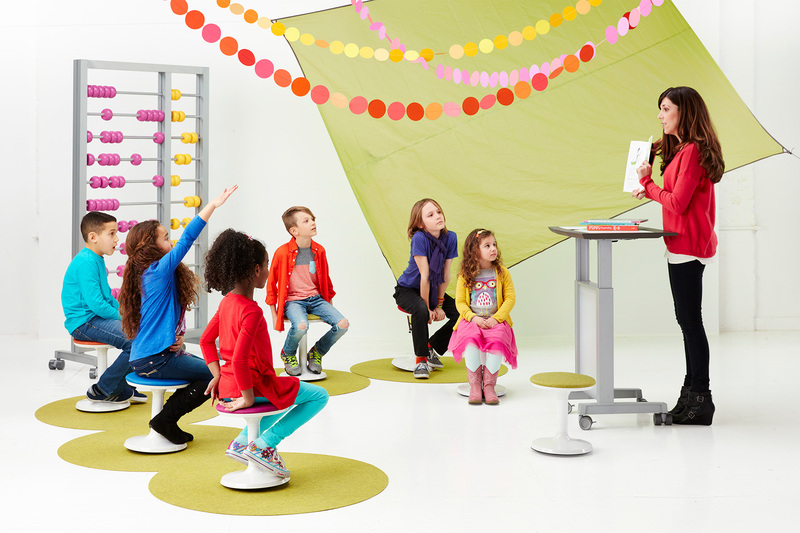 Dotti allows people to be more active sitters, which helps to engage minds, as well as core muscles. Dotti is clean, simple and lightweight. We’re very excited to consider this product for children’s and adult settings in upcoming projects. Talk about fun and functional accessories for your library! 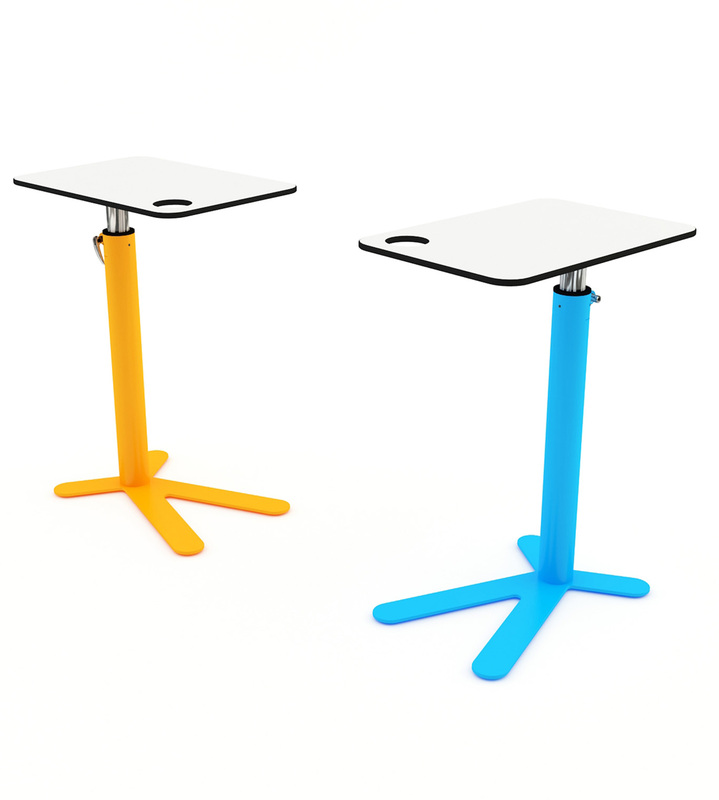 The Space Chicken is a small laptop table that pairs great with lounge seating. I love the aesthetics and design of the Space Chicken. It has a very clean look, but it is also available in many fun colors. Its height-adjustable option makes it versatile, and the base is designed so that it can function with just about any lounge seating option or chair. The Woodland product is also an enjoyable addition to libraries. 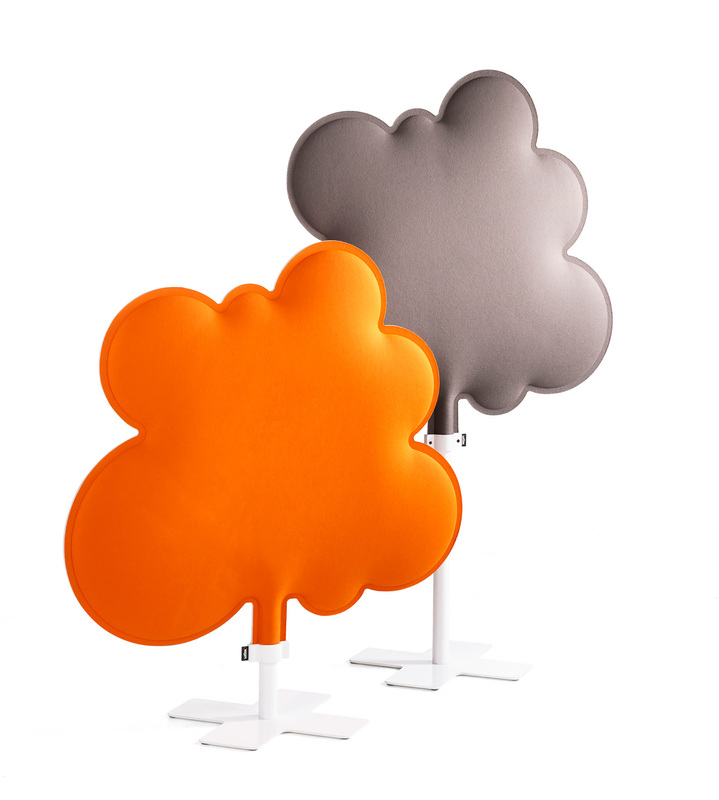 Woodland is a playful freestanding screen that also helps in absorbing sound. 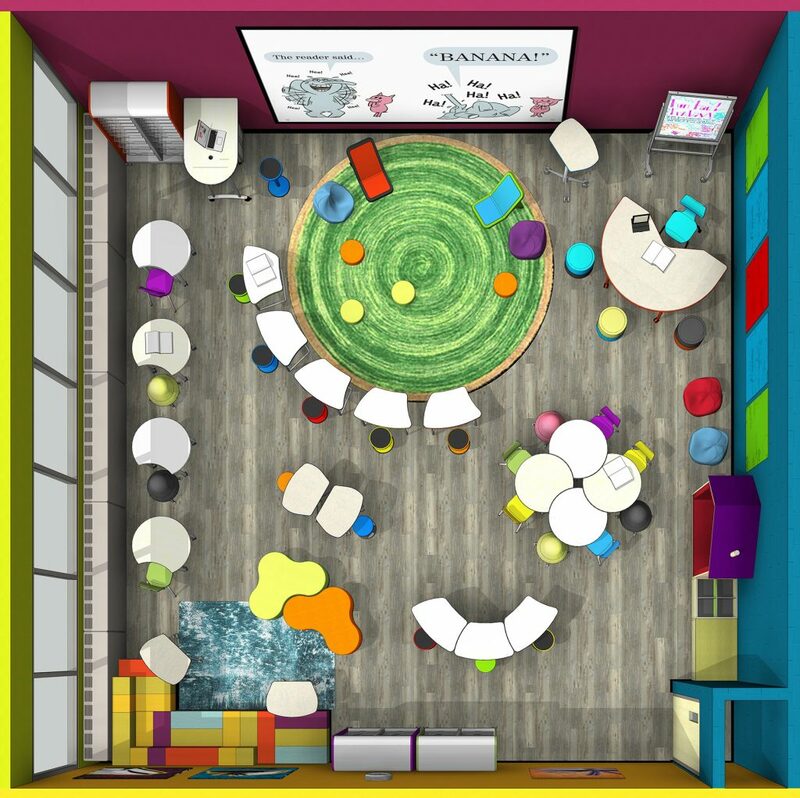 Woodland is a great way to help divide a children’s area from the rest of the library. Adding accessories to a library is an easy way to make the space feel updated and exciting. 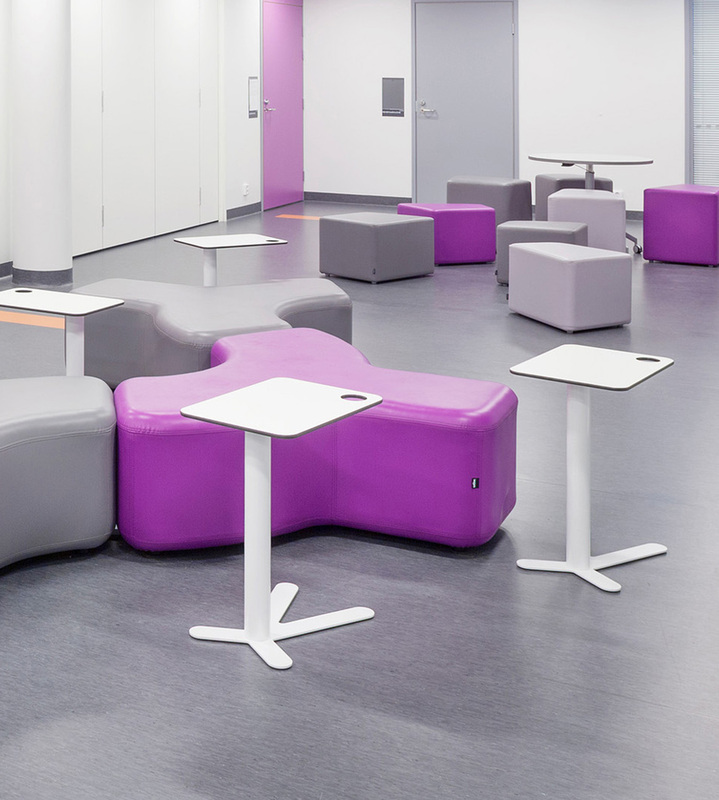 Cellular is fun and engaging lounge seating that’s suitable for any age group — how often do you hear that? Each Cellular unit is comprised of four components that can be easily pulled apart and reconfigured in many ways. 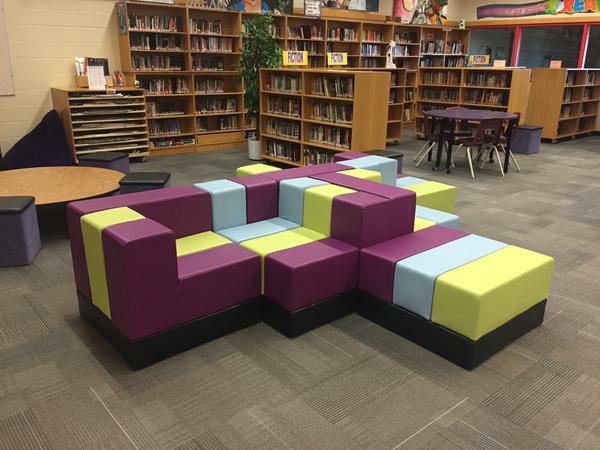 This offers a fun, flexible and creative space that can easily adapt for collaboration and many different space settings. The product has many great colors to choose from, as well as a great eco story, since the manufacturer uses as much recycled content and ecofriendly processes as possible. We look forward to using Cellular in projects and seeing the product grow in many markets! 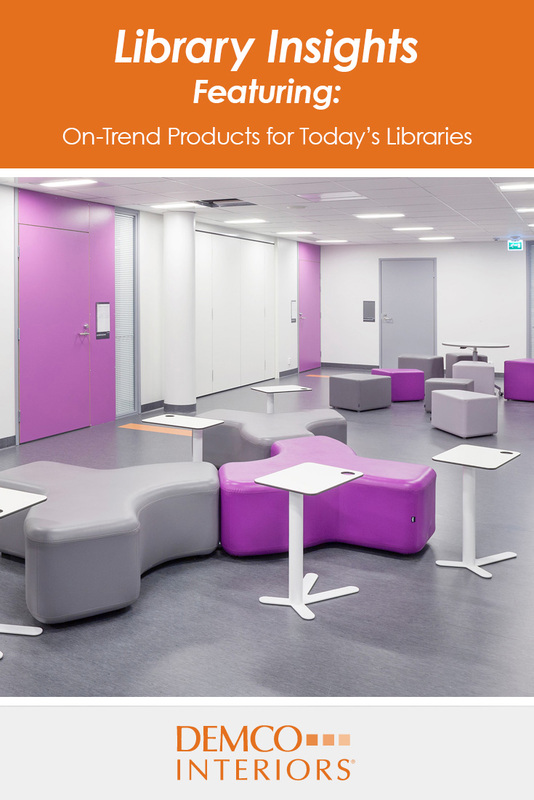 Start integrating these exciting products and more into your library’s design. 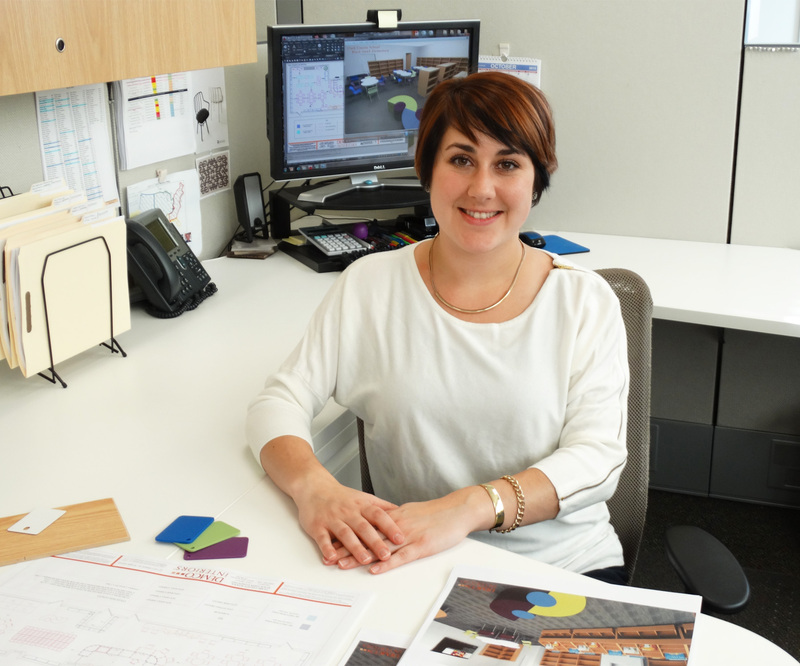 Contact the Demco interior services team to get started customizing your space with a free consultation.